You can almost sense its arrival—the faraway hoofbeat of livestock, the clank of carnival rides, the waft of frier grease in the air. Yes, the Minnesota State Fair is upon us once again. You’re going to need a beer. Since the launch of Lift Bridge Mini Donut in 2013, the Fair has engendered the zaniest output from Minnesota’s breweries. Fair beers are 12 days of devil-may-care: stuffed with fruits, pickled with veggies, ringed with sugar, salt, nuts, and chocolate, soured with citrus, or served with a s’more. This year is no exception. 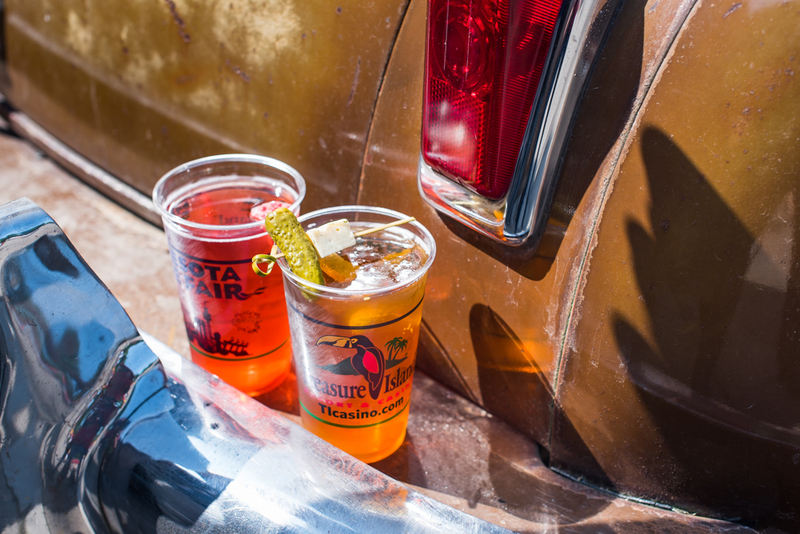 Thirty-seven specialty beverages—including two dozen new!—make 2018 the wildest State Fair beer lineup that Minnesota ever Got-Together. Forty of the state’s breweries and brewpubs are represented on taps across the fairgrounds (including a lot of, you know, regular beer). Without further ado, here’s The Growler’s Complete Guide to Beer at the 2018 Minnesota State Fair. Note: The beer list and descriptions are provided by the Minnesota State Fair, the Minnesota Craft Brewer’s Guild, and Minnesota Wine Country, and are subject to change. Reminiscent of a classic margarita, this is a kettle sour brewed with lime zest and sea salt, and aged in tequila-soaked barrel stoves. 5.0% ABV, 5 IBUs. At Coasters, located on the southeast corner of Carnes Avenue and Liggett Street. Inspired by the famous Italian ice cream, this lager is infused with strawberries and vanilla and served topped with a pistachio garnish. 4.8% ABV, 10 IBUs. At Mancini’s al Fresco, located on the north side of Carnes Avenue between Nelson and Underwood streets. This pink, lemony concoction is a classic summery beer infused with strawberries and hibiscus. 4.5% ABV, 15 IBUs. At Ball Park Cafe, located on the east side of Underwood Street between Dan Patch and Carnes avenues, outside The Garden. This easy-drinking ale’s crisp and slightly tart flavors harmonize with honey aromas to make it the ultimate Norwegian-inspired session beer. 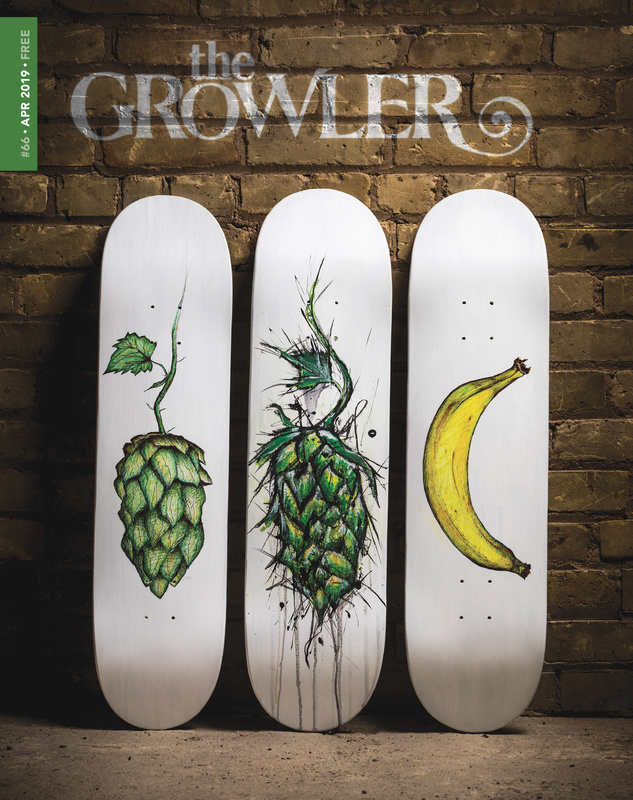 It’s brewed with locally malted Rahr pilsner and wheat malts, a dash of honey malt, German Hallertau Magnum hops, Minnesota’s own Norsland Lefse, and Scandinavian lingonberries. Each beer is garnished with fresh lingonberries and a crispy lefse chip. 4.7% ABV, 21 IBUs. At Giggles’ Campfire Grill, located on the southeast corner of Lee Avenue and Cooper Street, at The North Woods. Bent Brewstillery teamed up with 2017 Minnesota State Fair Homebrew Contest Gold-Medal Winner Mike Spores to create this white ale with red raspberries and Champagne grapes. The super fruity ale is crisp, tart, and refreshing. 5.0% ABV, 25 IBUs. At Ball Park Cafe, located on the east side of Underwood Street between Dan Patch and Carnes avenues, outside The Garden. Bent Paddle’s Venture Pils is infused with passion fruit for a tart and tropical experience. 5.0% ABV, 38 IBUs. At Ball Park Cafe, located on the east side of Underwood Street between Dan Patch and Carnes avenues, outside The Garden. This summer sipper features frozen strawberry lemonade with a hint of fresh mint. 5.0% ABV. At The Blue Barn, located at West End Market, south of the History & Heritage Center. This twist on a classic cocktail uses sparkling Edelweiss wine, ginger beer, and sweet lime. 10% ABV. At The Hideaway Speakeasy, located in the Veranda, Grandstand upper level, northwest section. 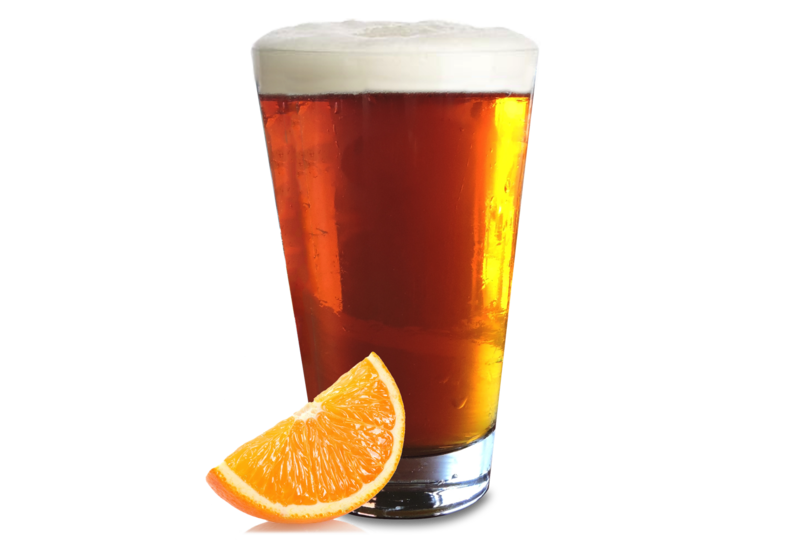 Deep gold in color with a soft malty aroma, this ale is infused with flavors of bright citrus orange and finishes with a slightly sweet and creamy texture. 5.0% ABV. At O’Gara’s at the Fair, located on the southwest corner of Dan Patch Avenue and Cosgrove Street. This is the second beer in a series of State Fair exclusives from Eastlake. It underwent a second fermentation with Lactobacillus and was brewed with strawberries and rhubarb. 4.0% ABV, 3 IBUs. At Ball Park Cafe, located on the east side of Underwood Street between Dan Patch and Carnes avenues, outside The Garden. Brewed with pressed apple cider, this beer is the perfect kick-off to crisp Minnesota fall weather. 5.7% ABV, 8 IBUs. At Aldo’s, Sabino’s Pizza Pies, Swine & Spuds and Snack House, located in the Warner Coliseum. A generous amount of corn in the brewing process gives this beer a pleasant caramel flavor. Fermenting at a uniquely higher temperature also gives way to a harmony between the hops and light, toasty caramel malts. 5.4% ABV, 20 IBUs. At Hildebrand Concessions, located in the Grandstand concert venue. Think green beer is only for St. Patrick’s Day? Think again. This green-hued, light-bodied ale has a slightly fruity and floral aroma with a creamy, crisp finish. 4.6% ABV, 22 IBUs. At O’Gara’s at the Fair, located on the southwest corner of Dan Patch Avenue and Cosgrove Street. 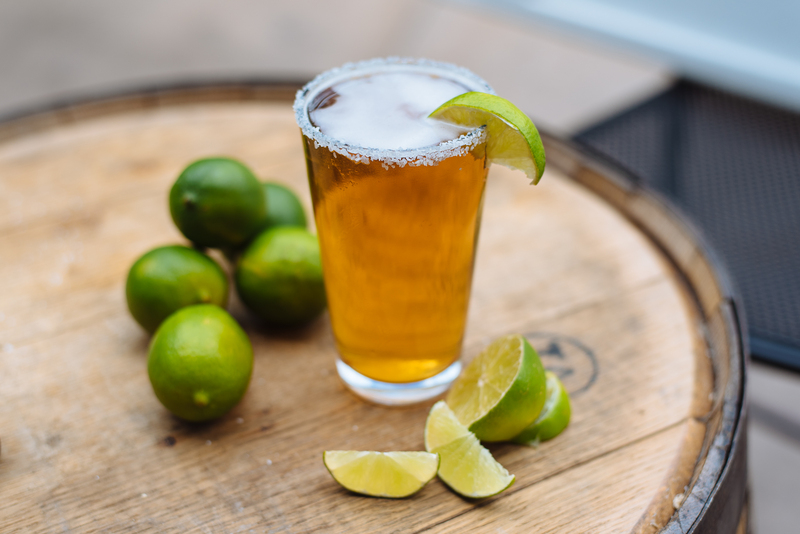 The crisp and refreshing LimeLight has a slight agave sweetness, citrusy punch of lime, and hint of sea salt that come together to create a balanced beer. 5.4% ABV. At The Blue Barn, located at West End Market, south of the History & Heritage Center. A perfect choice for a summer day at the fair, this full-bodied crisp and hoppy IPA is not overly bitter, and is light and approachable. 5.5% ABV, 35 IBUs. At Frontier Bar, located on the south side of Carnes Avenue between Liggett and Nelson streets. This malted cider is brewed with apple and pie spices from Minneapple Pie for a sweet and tasty end-of-summer treat. 4.9% ABV. At O’Gara’s at the Fair, located on the southwest corner of Dan Patch Avenue and Cosgrove Street. Reminiscent of a State Fair classic, this lightly hopped cream ale is bright and refreshing with a sweet finish, featuring flavors of savory dough, apple pie filling, and a dusting of powdered sugar. 4.7% ABV. At Coasters, located on the southeast corner of Carnes Avenue and Liggett Street. Inspired by Greek Ouzo, this Pilsner is infused with a touch of licorice and served with a sugar-spiced rim. Herbal ouzo flavors mingle with floral hops and a crisp malt flavor for a refreshing treat. 5.4% ABV, 40 IBUs. At Dino’s Gyros, located on the north side of Carnes Avenue between Nelson and Underwood streets. A refreshing squeeze of key lime in a light biscuity golden ale, sweetened with a touch of lactose and rimmed with sugar. 4.5% ABV. 13 IBUs. At Café Caribe, located on the south side of Carnes Avenue between Chambers and Nelson streets. This deep-fried cake-flavored beer is a lightly hopped ale featuring a distinct vanilla aroma with a sweet cake-like finish. 5.0% ABV, 20 IBUs. At The Hangar, located on the northeast corner of Murphy Avenue and Underwood Street. Freshly pressed Midwestern apples fermented to a light bubbly effervescence then sweetened with floral and black currant berries for a flavor that is clean, crisp, and fruity. 5.9% ABV. At LuLu’s Public House, located at West End Market, south of the Schell’s Stage at Schilling Amphitheater. Orange juice puree is mixed with Sociable Cider Werks Freewheeler to make a refreshing mimosa or bellini. 5.9% ABV. At LuLu’s Public House, located at West End Market, south of the Schell’s Stage at Schilling Amphitheater. This beer is a traditionally brewed, mixed-culture Berliner weisse aged for one year in 80-year-old cypress wood lagering tanks and then aged an additional three months on mangoes. It has a bright, fruity flavor of ripe mangoes on top of a refreshingly tart and dry lemony acidity. 5.5% ABV, 5 IBUs. At the Schell’s Pavilion, located at West End Market, south of Schilling Amphitheater. 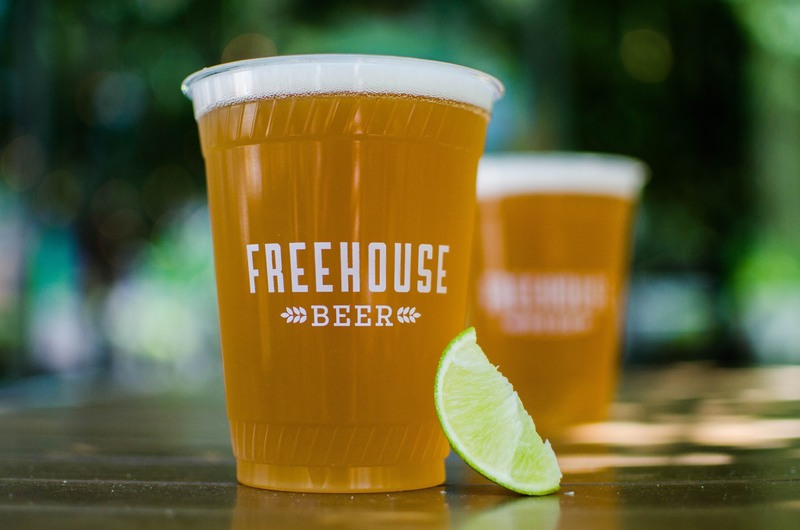 This light, refreshing Helles-style lager offers flavors of tangerine and fresh blood orange for a clean mouthfeel and a hint of sourdough crust. 4.2% ABV. At Shanghaied Henri’s and the Summit Booth, located at the International Bazaar. This deep golden ale is brewed with bright, citrusy lime and spicy ginger. It’s refreshing and finished with a lime wedge garnish. 5.0% ABV, 15 IBUs. At O’Gara’s at the Fair, located on the southwest corner of Dan Patch Avenue and Cosgrove Street. This hazy, NE-style IPA provides a fresh, juicy orange and grapefruit-like hop flavor. 6.7% ABV, 40 IBUs. At LuLu’s Public House, located at West End Market, south of the Schell’s Stage at Schilling Amphitheater. Former Twins pitcher Glen Perkins teamed up with Surly to brew this hop-heavy, citrusy IPA based off of one of his homebrew recipes. 5.0% ABV, 64 IBUs. At Ball Park Cafe, located on the east side of Underwood Street between Dan Patch and Carnes avenues, outside The Garden. Tin Whiskers is keeping things funky at Giggles’ Campfire Grill with a new iteration of Dill Pickle Ale, formerly brewed by Barley John’s. This year’s pickle-inspired sipper is a crisp Kolsch-style beer aged on fresh cucumbers and dill sourced from the St. Paul Farmers’ Market. At Giggles’ Campfire Grill, at the corner of Cooper Street and Lee Avenue. Still thirsty? Here’s a handy dandy map of all the drinks available at the fair, listed under each vendor. Lists provided by the Minnesota State Fair (subject to change). On a mobile device, click the square icon in the upper right-hand corner to open this map in the Google Maps app or another browser tab. Click the pint glasses on the map to display the beers available at individual establishments. Click the arrow icon in the upper left-hand corner of the map to display the list of establishments serving beer. 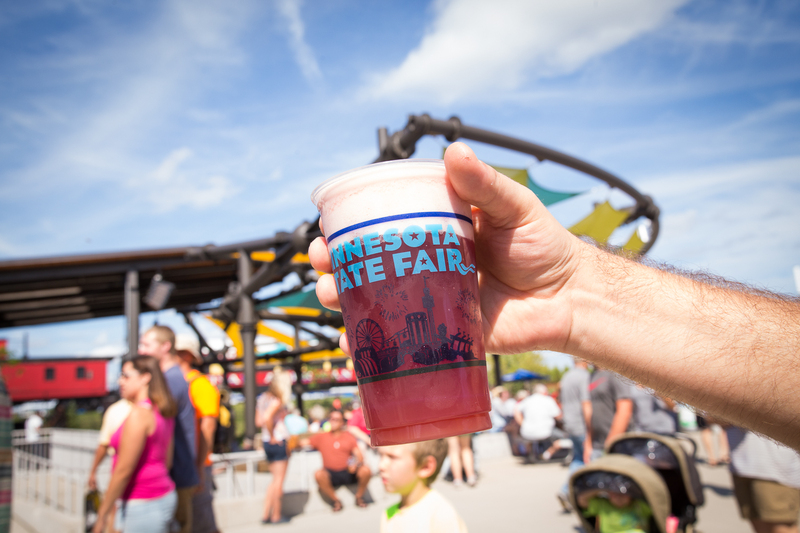 There are more than 40 local breweries and wineries pouring at the Minnesota State Fair. 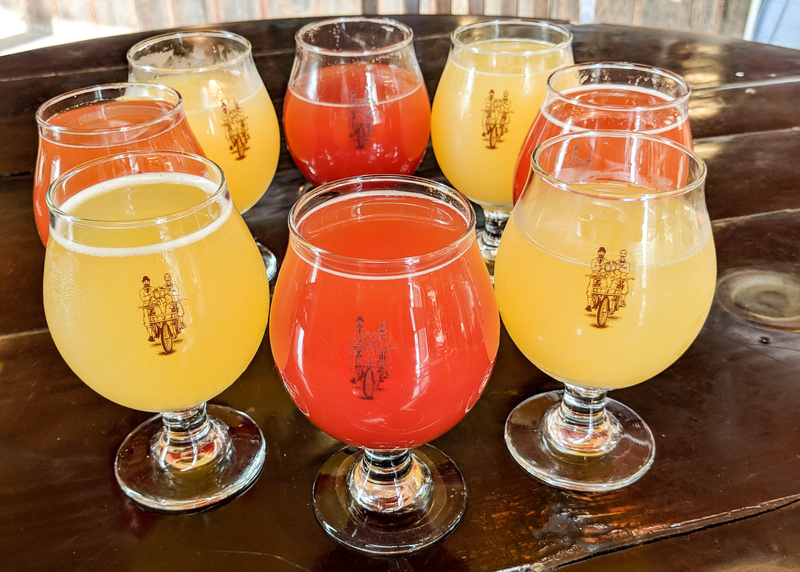 For those on a mission to seek out their favorite Minnesota breweries, this list is for you (sorted by brewery, every location at which the brewery is on tap, and what’s being poured). Beer information provided by the Minnesota State Fair. All lists are subject to change.